Last night I uploaded the pictures I took in Colorado. Given that it was a ski trip, one might reasonably expect shots of mountains and skiers, but I mostly focused on other things. 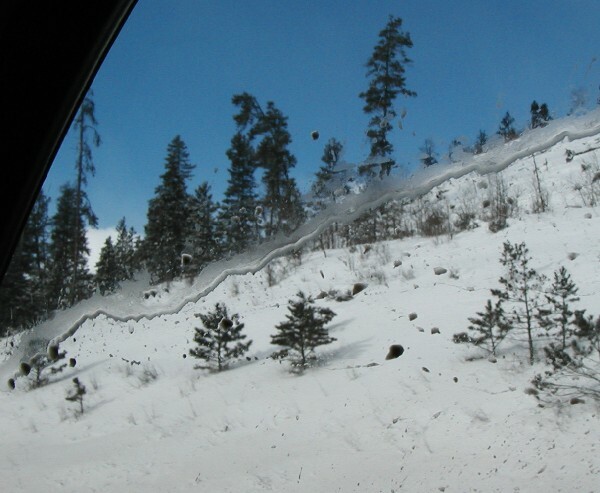 The only mountains I captured were the ones in the range that formed on the window of the rental car as the dirty washer fluid blew back from the windshield as we drove along I-70. 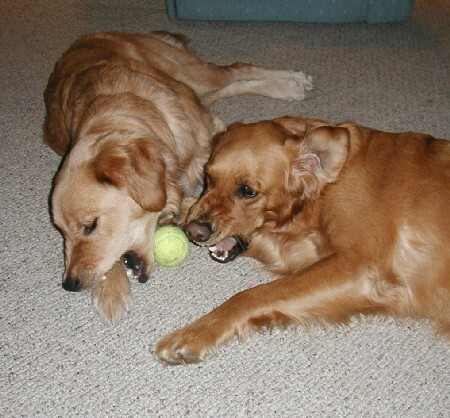 There are a lot of dog pictures–Sue and Dan have two canine companions now, up from one last year. 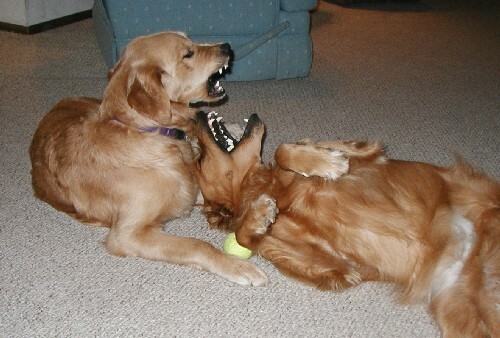 I especially thought the fierce faces they made when play fighting were too funny and clicked away. Too bad I didn’t have a tape recorder to capture the Chewbacca noises they made while they wrestled. 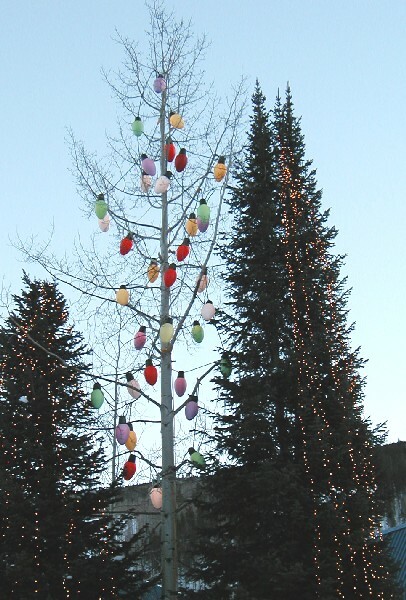 What caught my eye at Vail were the giant Christmas bulbs decorating a tree near the gondola. I’ve never seen these before. I wonder if they’re the next big thing, like icicle lights and spiral trees in their heydays. I didn’t have the camera with me the day we skied Copper, so of course there were plenty of things I wished I’d been able to take pictures of–the cartoon signs of dogs and squirrels skiing that would have fit right in to my collection from Whistler, the bead tree, Mr. Karen and Sue sitting in the deep snow off to the side of one run after he’d plowed in and gotten stuck and she’d gone in to help him get out (I think she felt it was her responsibility as hostess to assist, whereas I planned to wait to see if he could do it himself, which he usually can). On a less realistic note, I wish someone had been shooting video of me when I did my one slick move of the trip, managing to stay upright when a stick grabbed one of my skis and popped it off (can you say “early season conditions”?). Hey, look at me, keeping weight off my uphill ski just like I’m supposed to. I’m pretty sure I wouldn’t want to see video of most of the rest of my skiing–that way I can preserve the illusion in my head that I’m graceful. One year ago, I did a weekly goal check-in. Goals; yeah, I remember those. Two years, it was unofficially Christmas party time.